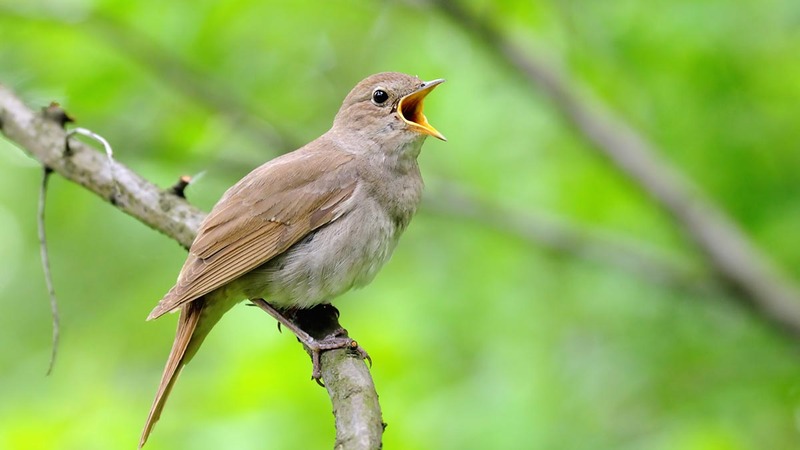 A new housing development in Kent has been labelled ’deeply concerning’ for its threat to the nightingale and its habitat. The nightingale population in England is now as low as 6,000. The plans, unveiled by Medway Council, propose thousands of new homes on a Site of Special Scientific Interest (SSSI) which conservationists argue would jeopardise the legal protection of thousands of wildlife habitats. A particular haven for nightingales and a confirmed SSSI site, Lodge Hill, Kent, is being campaigned for by national conservation groups in what they called an ’important test’ on the Government to see if it is committed to its ’stated aim of leaving the natural environment in a better state than this generation inherited it’. Lodge Hill is one of the last strongholds for nightingales in the UK. They are listed as one of the country’s most threatened birds after a 90 per cent drop saw their population hit less than 6,000 singing males. “Flying thousands of miles from Africa, nightingales arrive at Lodge Hill every year to spend the summer in Medway where they nest and raise young,” Alan Johnson, south east conservation manager for the RSPB, said. “As they arrive they blend perfectly into their environment as they serenade the Kent countryside with their distinctive song. The Government’s National Planning Policy sets out that land that has been designated a SSSI can only be developed if all other options for potential developments have been exhausted. But the campaigners argue the land, filled with ancient woodland and rare grasslands, should be ’protected for nature’. Lodge hill has been the only one of 4,000 SSSI sites in England to be designated for its nightingale population. The Medway Council public consultation will run until March 6. For more information click here. Previous Article What would WTO rules mean for your sector?